SUNSOAKED 2BD/2BTH OVERLOOKING ENGLISH GARDEN IN LUXURY UES OXFORD CONDO. This bright, sunny and spacious corner apartment enjoys a double exposure to the North and West, and boasts wonderful views from a private balcony above the Oxford's lush English garden and front courtyard. Move right into this renovated, approx. 1400 square foot home in excellent condition, with recessed lighting, crown moldings, gleaming Norwegian Maple floors and tons of storage with several fully customized walk-in closets. The gracious living/dining room has oversized windows providing plenty of sunshine throughout the day, and the roomy private balcony is the perfect place to unwind in the fresh air and watch the day turn into night. The kitchen has been recently updated and outfitted with stainless steel appliances and a carrara marble backsplash. The master bedroom has a large custom walk-in closet, en suite bathroom and North-facing windows with custom blackout shades. The second bedroom can easily accommodate a Queen bed with furniture, has a wall of custom closets and gets plenty of Western light. Off the gracious entry foyer is a second bathroom that has a utility closet with a washing machine and vented dryer. This apartment has it all! 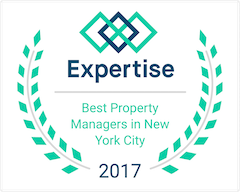 The Oxford is an award winning full service, white glove Emery Roth building with world-class amenities, including a stunning lobby that just underwent a complete $1.8M high-end renovation. In addition to the lush English garden and massive 9500 sq. ft. wrap-around sundeck, the condo offers a renovated state-of-the-art fitness center with a large indoor sky-lit swimming pool, full-size outdoor basketball court and a children's playground with a jungle gym and swings. There is also an on-site parking garage, a residents' lounge with catering kitchen and so much more! Rest easy with a 24-hour doorman and concierge, video surveillance throughout and an electronic package tracking and alerts system. Close proximity to public transit including the the new Second Ave. âQâ train. Pets are welcome (weight restrictions apply). Indulge yourself in the Oxford's unrivaled luxury and conveniences.